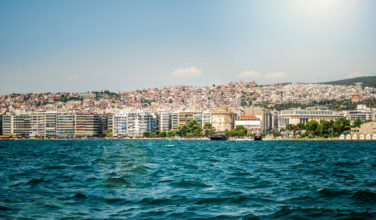 Thessaloniki is the second-largest city in Greece. 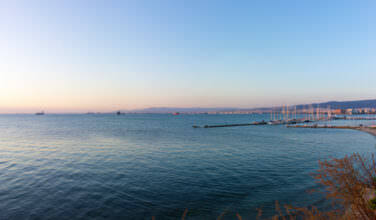 The city is located on the Thermaic Gulf at the northwestern corner of the Aegean Sea. The city is prone to geological changes thanks to its close proximity to mountain ranges, hills, and fault lines. 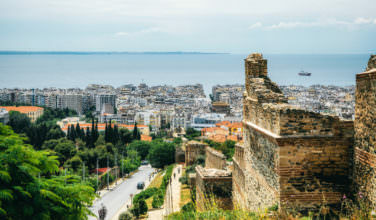 Since medieval times, Thessaloniki has been hit by strong earthquakes. In June of 1978, Thessaloniki suffered a series of earthquakes that ranged from 5.5 and 6.5 on the Richter scale. 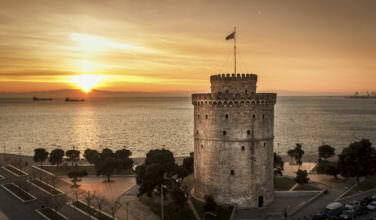 Thessaloniki was founded in 315 BC by Cassander of Macedon. 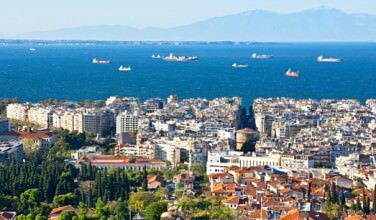 The city was named after princess Thessalonike of Macedon, who was the half-sister of Alexander the Great. 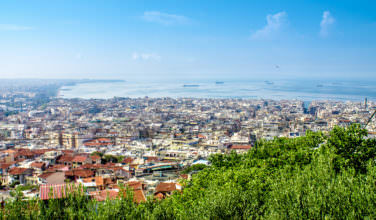 During the Roman period it was an important metropolis. 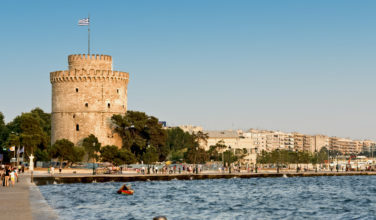 In 1430, Thessaloniki was conquered by the Ottomans. In 1912, the city of Thessaloniki was passed from the Ottoman Empire to Greece. The Great Thessaloniki Fire of 1917 destroyed much of the old city. The fire was started accidentally in an unattended kitchen on August 18. 72,000 people were left homeless after the fire, many of them Jewish. Because so many businesses were destroyed, jobs were also lost. Rebuilding after the fire did not happen quickly. 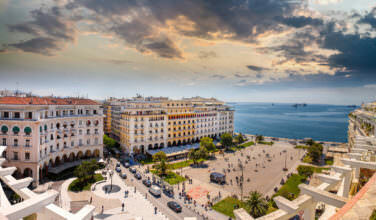 The government took this time to plan a complete redesign of the city of Thessaloniki. They wanted to create a European-style urban plan. A group of architects, including Thomas Mawson, would go about creating the plan for the new city. 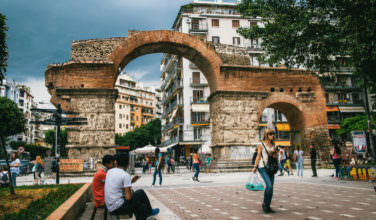 During World War II, Thessaloniki was faced more damages with over 800 buildings being destroyed and 231 people killed in November 1940 alone when Fascist Italy attempted to take the city. They would ultimately fail, but the city would fall to Nazi Germany in 1941. Jewish residents would soon be taken to concentration camps and the gas chambers. 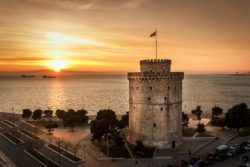 After the war, Thessaloniki would be rebuilt again. 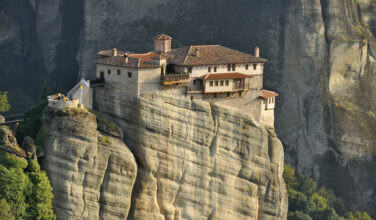 Several early Christian and Byzantine monuments have been added to the UNESCO World Heritage list. Museum for Macedonian Struggle – A historical museum aimed at preserving the local history and culture of Macedonia. 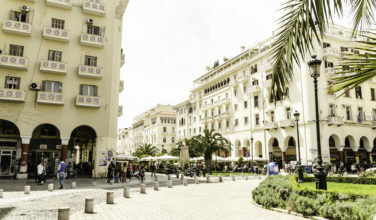 Located in the city center of Thessaloniki. Housed in a 19th century Neoclassical building designed by Ernst Ziller. 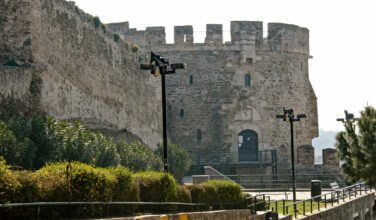 Castle of Thessaloniki – Also called Yedi Kule. Dating back three centuries before the birth of Christ the ruins of the castle are something to explore. The view from the castle is also worth seeing. Agios Nikolaos Organos Church – Located in the Old Town. Known as Ano Poli to the locals. 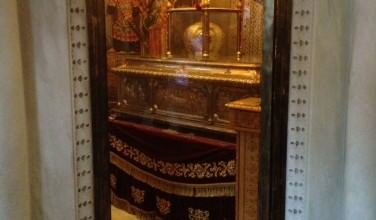 Church features paintings from the 1300s, graves, and a marble temple. 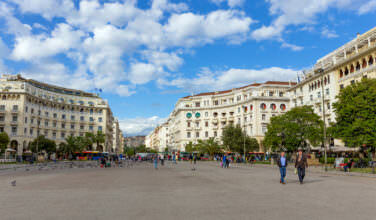 Aristotle Square – Located on Nikis Avenue, Aristotle Square is a product of The Great Fire. Built in the 1950s after much planning. A relaxing area with views of the sea, coffee shops, and plenty of sites to see as you stroll around. Agia Triada Beach – Located about 22 km from the city. Close to villages Nea Michaniona and Epanomi, which are worth exploring a little as well. Beach is pristine, well-organized, and scenic. 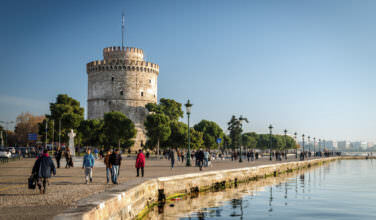 White Tower – The White Tower is a historical landmark. 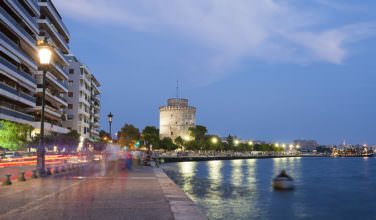 It has become a well-known symbol of Thessaloniki. Ottoman Sultan Suleiman the Magnificent had it built in the 1500s. 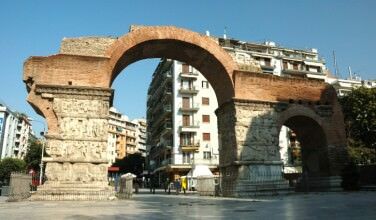 Arch of Galerius – Also a symbol of Thessaloniki. 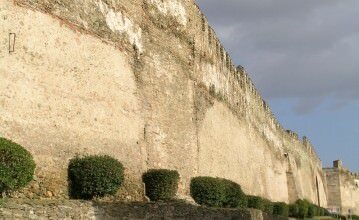 The Roman Emporer Galerius had it built to his palace with the main road. A historical site that will take you back to the Roman Empire. 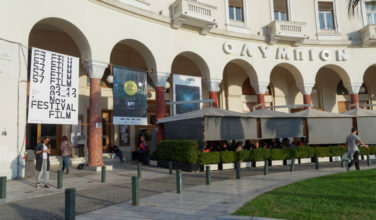 Archaeological Museum of Thessaloniki – Features an impressive collection of artifacts from prehistory and ancient times. Focus is on Ancient Greece and Macedon. Museum consists of a number of floors to explore. 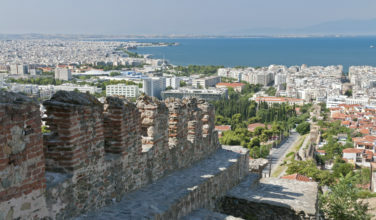 The Heptapyrgion – A grand fortress that serves as a reminder of the Ottoman presence in Thessaloniki. The name means “Fortress of the Seven Towers.” Until the late 1800s it served as a military base and then as a prison until 1989.